Kamala Harris is holding her first press conference at 1:30 pm today, at her alma mater, Howard University in Washington, D.C., on the same day she announced that she is joining the Democratic primary race for president in 2020. Kamala Harris' presidential bid and the expanding Democratic field in the 2020 presidential race. In a video released Monday, Harris says she's seeking "truth, justice, decency, equality, freedom [and] democracy", which she argues are "all on the line now". During her interview with ABC, Harris said that "the American people deserve to have someone who is going to fight for them... who will be concerned about them and put them in front of self-interest". 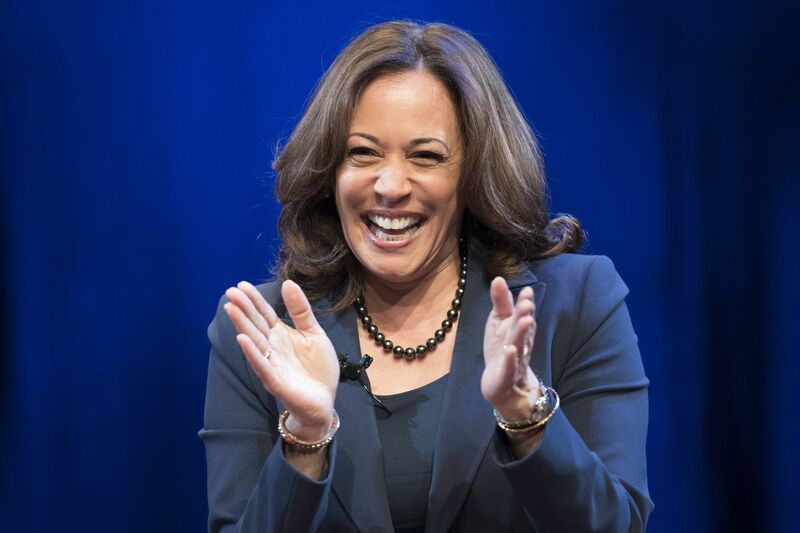 "That's why I'm running for president of the United States", Harris says. "I believe the bonds between the United States and Israel are unbreakable, and we can never let anyone drive a wedge between us", she said while speaking to AIPAC attendees in 2017. Barbara Boxer in 2016, said in her almost 1-minute announcement video that she wanted to bring people together. The Democratic congressman said Harris is "formidable" and "not to be dismissed", but that Warren and Sanders are "two extraordinary progressive icons, and barring something unforeseen I'm likely to support one of them". The California senator made the announcement on the morning of Martin Luther King Jr. Her first campaign stop will be on Friday in Columbia, South Carolina, a Harris aide said, while revealing some early hires Monday. Harris has also planned a campaign rally on Sunday in Oakland, where she was born. "I have the unique experience of having been a leader in local government, state government and federal government", she said. Then in January 2017, she took the oath of office as California's junior USA senator, making her the first woman of South Asian descent (her mother is a Tamil Indian) and only the second black woman senator in American history, after Carol Moseley Braun. Senators Cory Booker of New Jersey, Sherrod Brown of OH and Amy Klobuchar of Minnesota are also looking at the race. In recent weeks she has been building up to an announcement with a new book, including appearances on shows such as "The Late Show with Stephen Colbert". Democratic primary debates will begin in June.